To understand the characteristics of umami taste by tasting various ingredients. 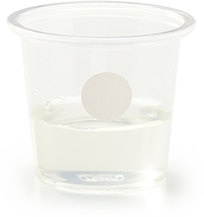 Small cups (quantity: 50~60ml 2oz.) with different color stickers＊ to differentiate content among cups. Clear plastic cups are recommended but paper cups are also acceptable. 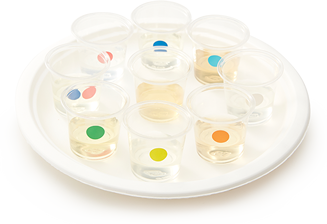 ＊＊The Umami Information Center uses multicolor stickers to mark each sample. Cherry tomatoes are available all year around and versatile in most of countries. In this context, they are one of the most efficient ingredients with which to experience umami. Take the stem of a cherry tomato and chew the flesh around 30 times. Do you feel any sensations after eating it? You may not be able to explain the sensations on your tongue. First, you are supposed to taste sourness and sweetness that passes quickly, a grassy-like or earthy taste as well. After some minutes, you will find a somewhat different lasting feeling in your mouth or a coating sensation on your tongue. This ambiguous and subtle taste is umami. 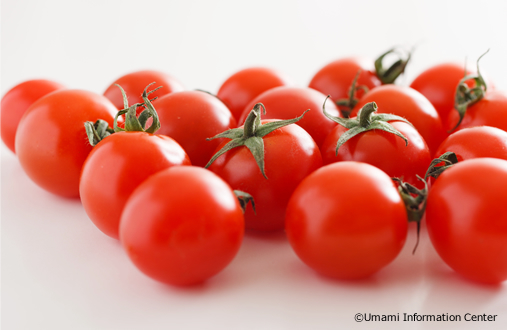 The umami substance in cherry tomatoes is glutamate. After swallowing it, you will still feel your mouth watering. Umami has an effect of salivary secretion. 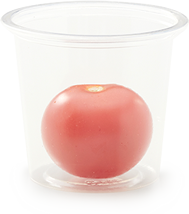 In the case of conducting umami tasting with cherry tomatoes, please check their taste beforehand. If you feel they are watery with less umami due to the season or origin, we recommend you get other ones from different producers. If cherry tomatoes aren’t available, unsalted dried tomatoes or tomato paste can be used in exchange. As well as being used for grating in cooking, it can be sliced thinly for umami tasting. Then gently place it on the center of your tongue. 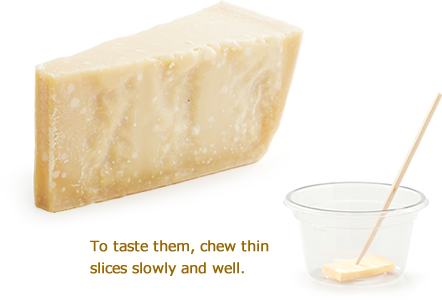 First you may experience a strong cheese flavor; however, it will turn weak as you chew slowly. At the end, you will taste umami. 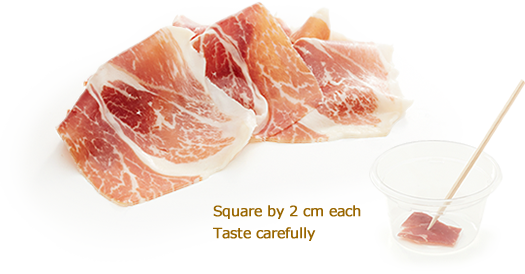 We don’t use the cooked type but ham that has been cured from 12 to 24 months such as Prosciutto Crudo from Parma, Italy and Jamon Serrano from Spain. Since it is very salty, we recommend you taste only a small 2 x 2 cm piece. (0.8 inch cubed) . Gently place it on the center of your tongue. As you chew slowly, you will taste umami. You may feel a strong aftertaste of umami. 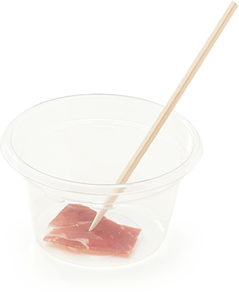 Pork, the ingredient for cured ham is rich in inosinate. However, it is consumed by enzymes during the long period of maturation. At the same time, other enzymes break down protein into amino acids. Glutamate, one of the amino acids, increases along with maturation. 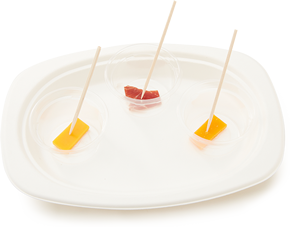 To compare umami in different aging periods, we use a semi-hard type cheese such as Cheddar, Compte or Mimorette made of the same ingredients by the same producers. 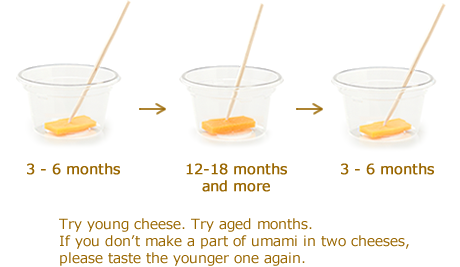 Please prepare two types of the same cheese; young (3 - 6 months) and aged (from 12-18 months and more). Chew well half a slice of young cheese. Sip water and rinse your mouth. Repeat the same with half a slice of aged cheese. What did you discover in this tasting? 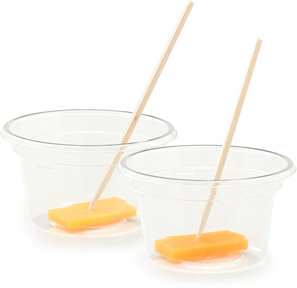 With ripening cheese loses water becoming harder and saltier. 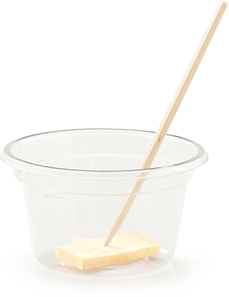 As a result, cheese flavor is stronger and more complex. In addition, don’t you taste a stronger umami? If you are not sure, we recommend you taste the younger one again to make sure you detect the difference between the two cheeses.Aging causes protein in cheese to break down into amino acids even further increasing the content of glutamate, one of the umami substances. Here, we present how to experience umami using dashi, Japanese soup stock. Kombu is harvested in Hokkaido and part of the Tohoku region in Japan. The shape, taste quality and umami strength vary by origin. Kombu is one of the most glutamate rich ingredients. Glutamate is one of the umami substances. (For more information on kombu →) The Umami Information Center prepares kombu dashi in two ways: the preparation method for heated kombu dashi and soaked kombu dashi. 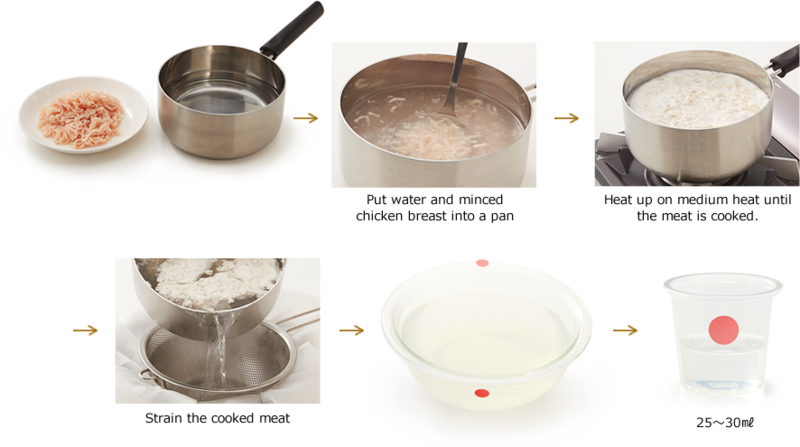 The recipe to make each type of dashi is explained below. 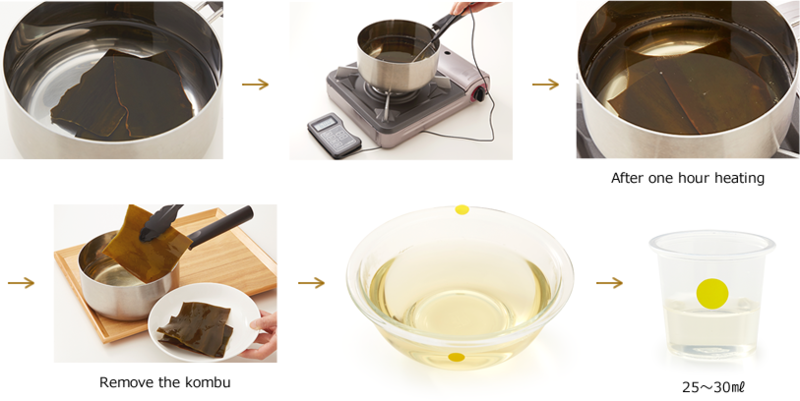 The Umami Information Center prepares kombu dashi for umami tasting by the method indicated below. The amount of glutamate extracted will increase by around 30% compared to a conventional method using same ingredients. ＊The Umami Information Center uses soft water with low mineral content. 1. Put kombu in the water. 2. Heat it up and leave it for 1 hour at 60℃（140ｰF）. 3. Remove the kombu from the pan. Please ensure the water temperature does not exceed 60℃, otherwise, the dashi will be slimy. 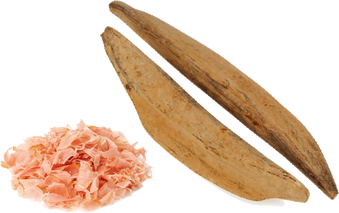 The method mentioned above (A-1) is suitable for Rishiri Kombu. In the case of using Ma-kombu or Hidaka -kombu and other varieties, please refer to the conventional method below. 2. Heat it up on low or medium heat. 3. Just before it reaches boiling point, remove the kombufrom the pan. Using this method, you can obtain umami rich kombu dashi easily. 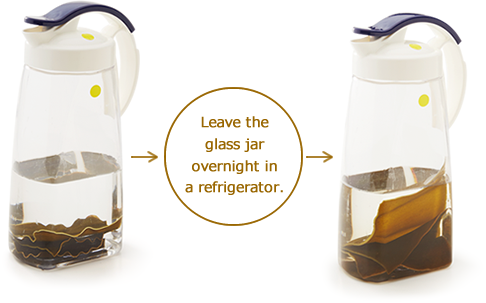 Pour the water and kombu into a container such as a cooking bowl or glass jar and leave overnight in a refrigerator. Some people experience the smell of the sea which they find unpleasant. 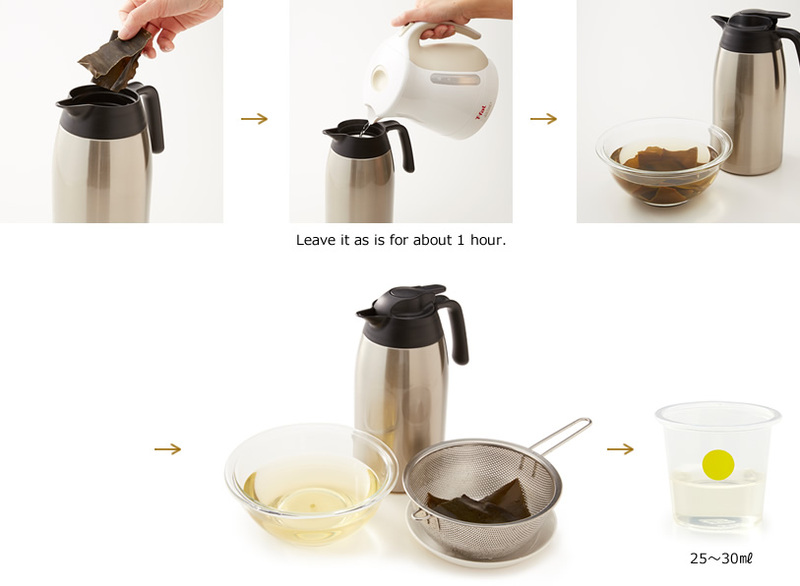 With a thermos, you can prepare kombu dashi for umami tasting. 1. Put kombu in the thermos. 3. Leave it as is for about 1 hour. 4. Take the kombu out. Pour 25ml ～ 30ml (1 fl. oz.) of dashi into a tasting cup. Sip half the kombu dashi and allow it to spread over your tongue. Sip the other half of the dashi and do the same. ＊Hon karebushi : This type has undergone the entire process including molding. 1. Pour the water into a pan and heat it up. 2. Turn off the heat and wait for the temperature to reach about 85℃. (185ｰF). Add the bonito flakes all at once. 3. Wait for a while until the flakes sink to the bottom of the pan. 4. Using a strainer, strain the dashi through a cotton cloth or kitchen paper. 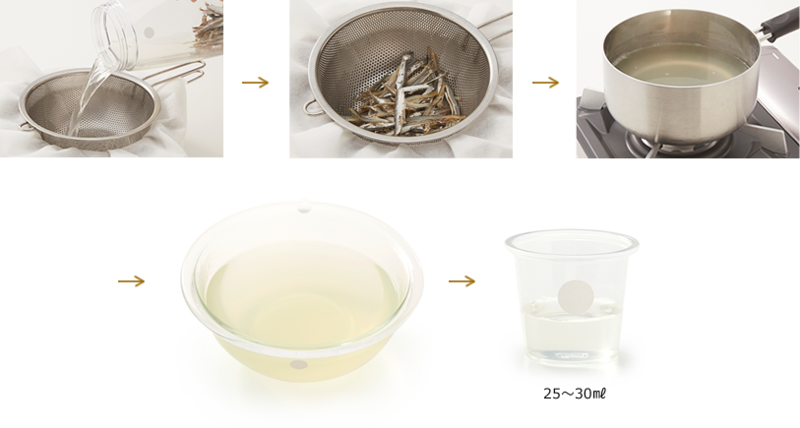 ＊Using two strainers and placing a sheet of kitchen paper in between will help the bonito flakes to mix into the dashi. ＊Using a thermos pot, you can serve the dashi at a good temperature. Sip half the katsuo dashi and allow it to spread over your tongue. 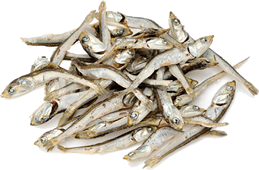 Niboshi are small fish that are boiled and then dried. There is no specific “niboshi” fish - rather, the types of fish used to make niboshi vary, with each lending a different flavor to the cooking into which it is incorporated. The most popular use for niboshi dashi in Japan is in the miso soup eaten at home, traditionally as part of every meal. Let’s taste niboshi dashi to expand your umami dashi experience. We reheat soaked niboshi dashi to lessen the fish flavor and maximize its umami. Not only inosinate comes from fish but amino acid is felt in this dashi and you feel strong umami. ＊The stomach and head of niboshi often carry a bitter flavor.That is why it is best to remove them. ＊＊The Umami Information Center uses soft water with low mineral content. 1. Using your fingers, bend back and break off the head of the fish. Open up the stomach of the fish and remove the insides. 2. Leave the niboshi in the water to soak overnight in a refrigerator. 3. Strain the water through a strainer lined with a cotton cloth or kitchen paper gently. 4. Heat and bring to just before boiling point. 5. 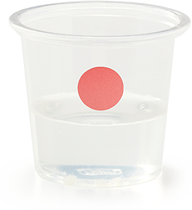 When it cools down to around 60℃, pour into tasting cups. ＊Before straining, put cooking paper between the two strainers. That helps to make clear dashi without fish pieces. Sip half the niboshi dashi and allow it to spread over your tongue. The preparation shown below adopts the method for obtaining a dashi rich in guanylate. 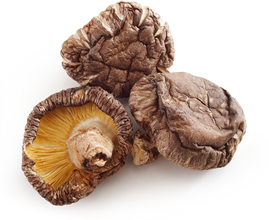 Dried shiitake mushroom contains two types of enzymes: one generates guanylate and the other breaks down guanylate. They activate in different temperature zones. Our method makes use of this theory. The Umami Information Center presents two types of dried shiitake mushroom dashi: Simply soaked and soaked dashi that has been reheated. The soaked dashi imparts other tastes beside umami and has an astringent and bitter taste. 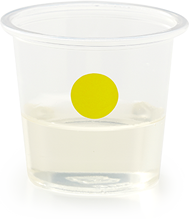 Reheated dashi minimizes the astringent taste and increases the umami taste. 1. Soak dried shiitake mushrooms in 0.5L of water for 1 hour in a refrigerator. 2. 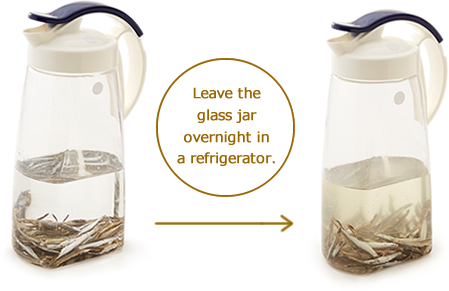 Discard the water and add another 1 L of water and leave overnight in the refrigerator. 3. Put half of the liquid into a pan and heat up to over 70℃ (158ｰF) on low or medium heat. Heat quickly to 60℃ (140ｰF). 4. Adjust heat and turn off after about 5 minutes of boiling. 5. Strain the dashi using a strainer lined with a cotton cloth or kitchen paper. 6. 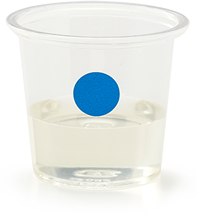 When it cools down to around 60℃, pour into tasting cups. 7. Pour another dashi ; just soaked dashi, into tasting cups. Sip half the soaked shiitake dashi and allow it to spread over your tongue. Drink a small quantity of water and rinse your mouth. Sip half the soaked and heated shiitake dashi and allow it to spread over your tongue. 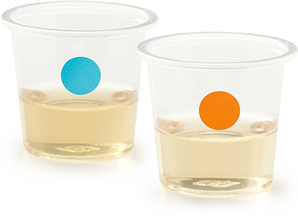 Taste the difference between the soaked shiitake dashi and the soaked and heated shiitake dashi. Repeat the process No. 2, No.3 and No.4 to confirm the difference. Here, we present a preparation method using only vegetables. This recipe was originaly created by the Umami Information Center for umami tasting. The umami substance of this bouillon is glutamate. The key points of this bouillon are a short cooking time at a low temperature and low salt seasoning. 1. Cut all vegetables except parsley into 1～2cm cubes. 2. Add all vegetables to a pan containing 1 L of water, heat it with low or medium heat and continue to cook for about 20 minutes. (For 1 lL of water, cook for about 30 minutes in total.) Continue cooking it between 80～85℃ (176～185ｰF）paying attention not to let it boil. 3. Strain using a strainer lined with a cotton cloth or kitchen paper. 5. Add salt of 0.3% of bouillon weight. ● Please use only the stems of broccoli, celery and parsley since the remaining parts have a strong flavor and impart a bitter taste to the bouillon. 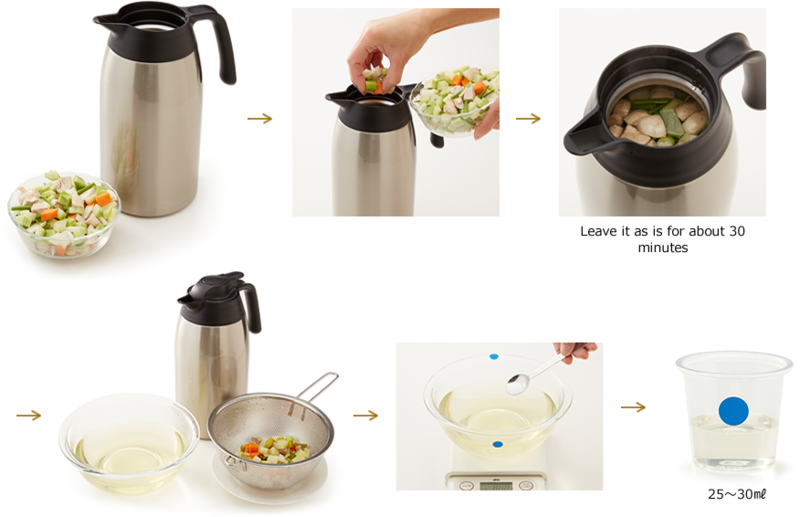 With a thermos, you can prepare vegetable bouillon for umami tasting. 1. Put vegetables in the thermos. 2. Put vegetables in the pot. 5. Strain 4 with strainer covered with kitchen cloth or kitchen paper. 8. Wait until the soup has cooled down to 60℃ and then pour into small cups. Pour 25ml ～ 30ml (1 fl. oz.) 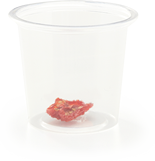 of vegetable bouillon into a tasting cup. Sip half the vegetable bouillon and allow it to spread over your tongue. Sip the other half of the vegetable bouillon and do the same. 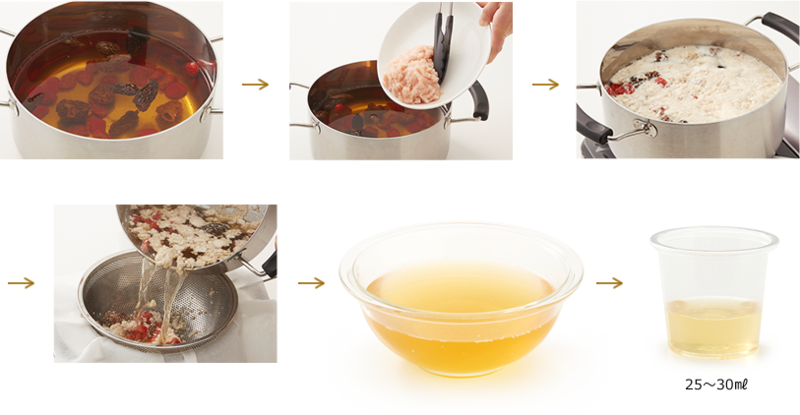 This is a light tasting bouillon made of chicken breast meat and water. The main umami substance of the bouillon is inosinate.We add a small amount of salt (0.3% of the bouillon) before serving. 1. Put water and minced chicken breast into a pan and flake the meat. 2. Heat up on medium heat until the meat is cooked. 4. the cooked meat to extract umami. Pour 25ml ～ 30ml (1 fl. oz.) 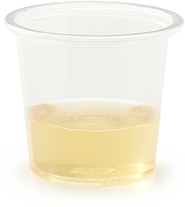 of Chicken Bouillon into a tasting cup. Sip half the Chicken Bouillon and allow it to spread over your tongue. Sip the other half of the Chicken Bouillon and do the same. 1. 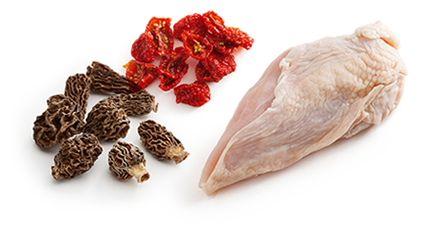 Place the dried tomatoes and dried morel mushrooms in a saucepan and soak them overnight. 2. 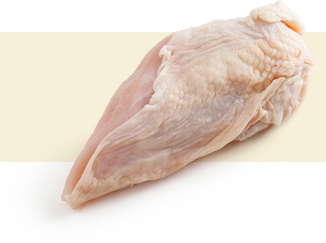 Remove the fat from the chicken breast and grind the chicken meat with a food processor. Salt and leave for an hour. 3. Add the chicken to the saucepan and heat with medium heat until the chicken has cooked. 4. Strain the dashi through a cotton cloth.